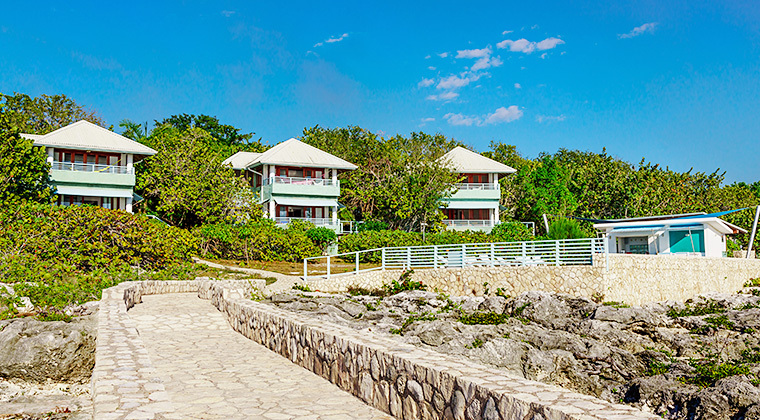 Located on the cliffs of Negril's legendary West End, on a dazzling stretch of Caribbean, The Cliffs is an intimate retreat comprising three villas and four garden suites with private verandas. Feast on Jamaican delights, sunbathe at the edge of the cliff, snorkel on the reef. A classic Caribbean getaway, The Cliffs has a stone deck with access to the sea, a freshwater pool with bar and an on-site cook who’ll prepare meals in your room or villa after a full day of sun or sightseeing. Located a short taxi ride from the restaurants and nightlife of the vibrant West End, The Cliffs is just twenty minutes from its sister property, The Beach. A complimentary morning and afternoon shuttle is provided daily for guests who would like to enjoy a day at The Beach.